Veronika was born in picturesque Slovakia but moved to United Kingdom 12 years ago where she lives with her husband and 3 year old son Jacob. 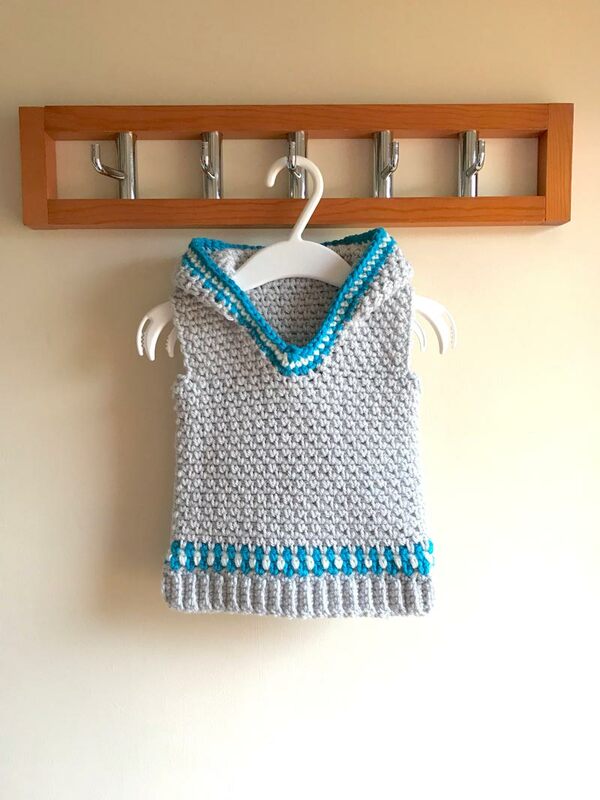 She was taught to crochet as a young girl by her mum but only a couple of years ago she found a real passion for designing and creating patterns for garments and accessories for the whole family. 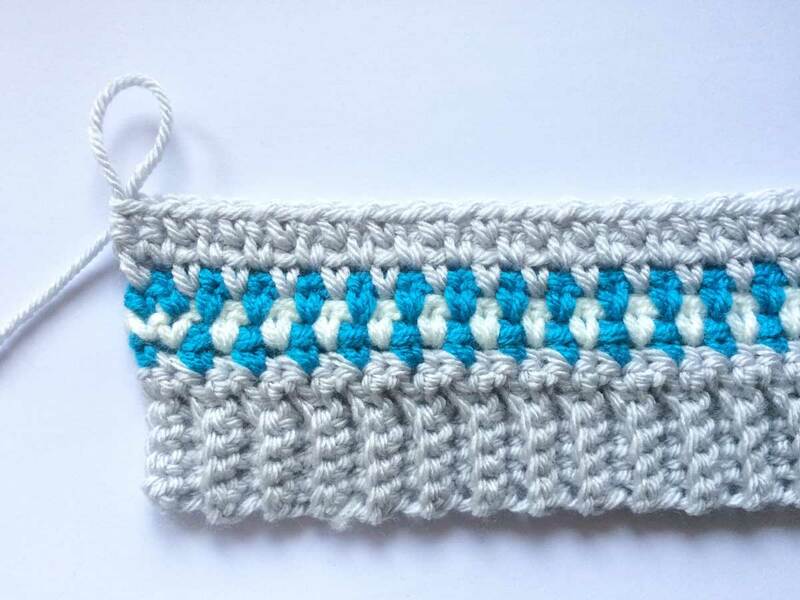 She set up Blue Star Crochet Company in December 2016 and her designs have since been widely published in all major UK crochet magazines - Inside Crochet, Crochet Now and Simply Crochet. My name is Veronika, I’m crochet fashion designer and head yarn hoarder at Blue Star Crochet Company. 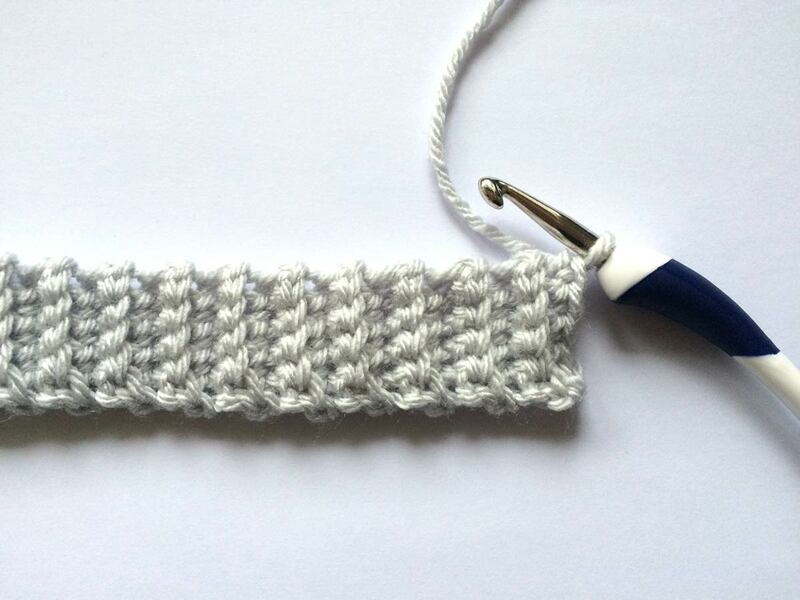 I had a very happy childhood with no mobile phones, game consoles or computers which is one of the reasons my mum taught me to crochet when I was a child to occupy my hands and mind. She still has the first pencil case I ever crocheted! About ten years ago I picked up crochet again and started exploring new stitches and techniques. 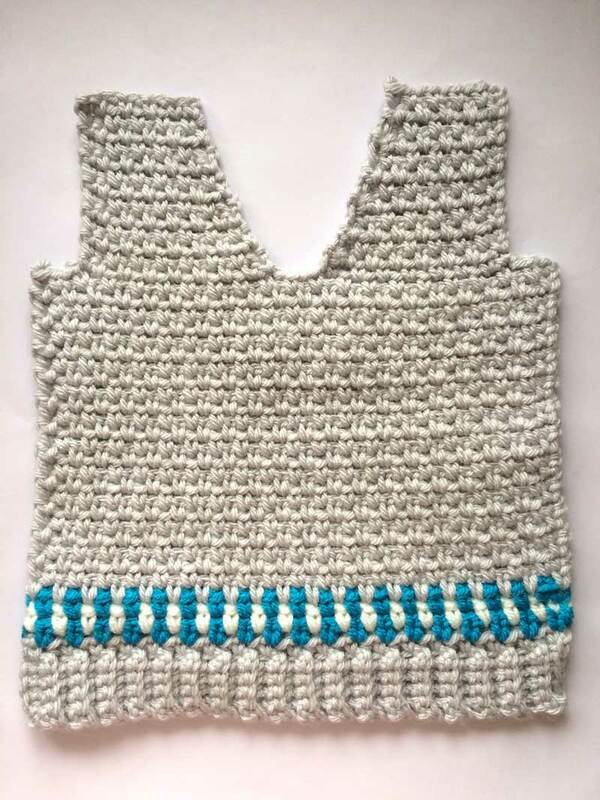 I started designing my own patterns when I was pregnant with our son Jacob. 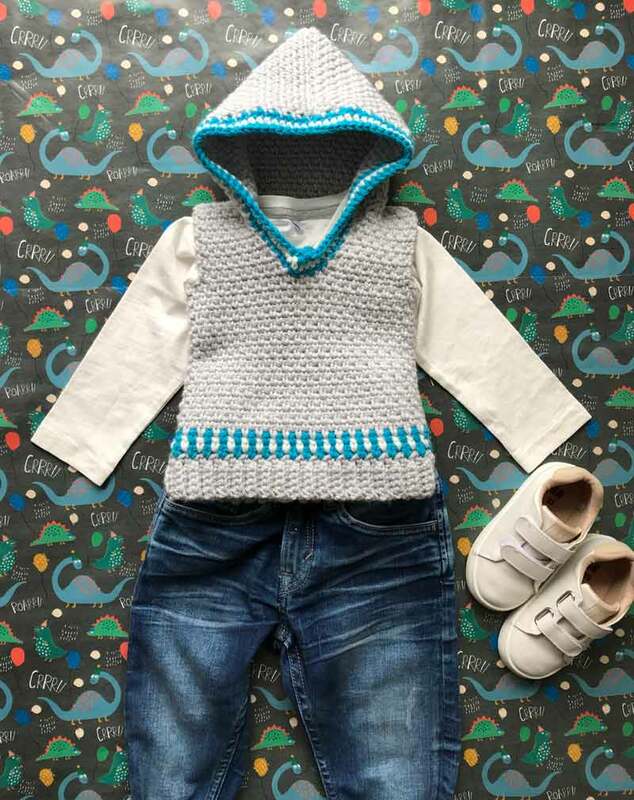 The lack of cool and fun clothes for boys has led me to making my own designs and it was in fact Jacob’s Cardigan that was my first published pattern printed in UK crochet magazine. That's when I decided to set up Blue Star Crochet Company to share my patterns and designs. 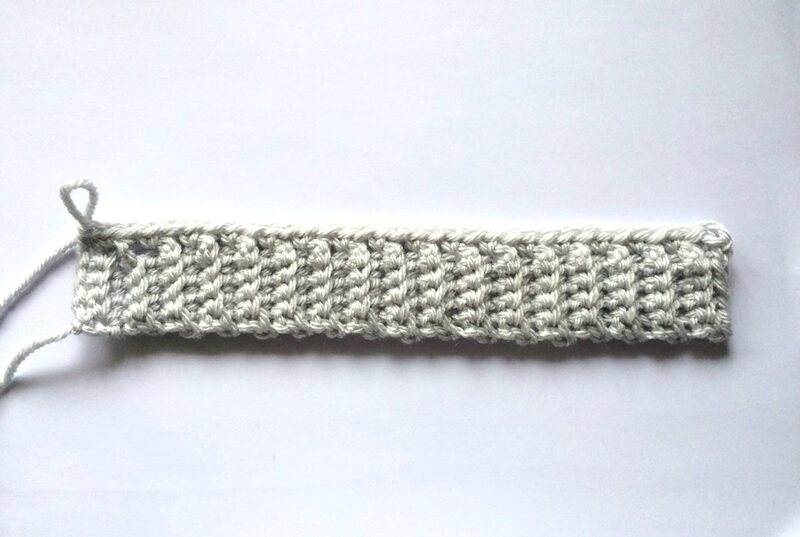 · 1 ch space when working the linen stitch counts as 1 st.
With Misty Grey and 6 mm crochet hook chain 6. Repeat Row 2 for 37 (43, 47, 53) more rows. Do not turn after completing the last row. Turn your work 90 degrees right and continue working across the long edge of the band. Fasten off and change to Marine Blue. Fasten off and change to Pure White. Fasten off, change to Marine Blue. Fasten off and continue working in Misty Grey. 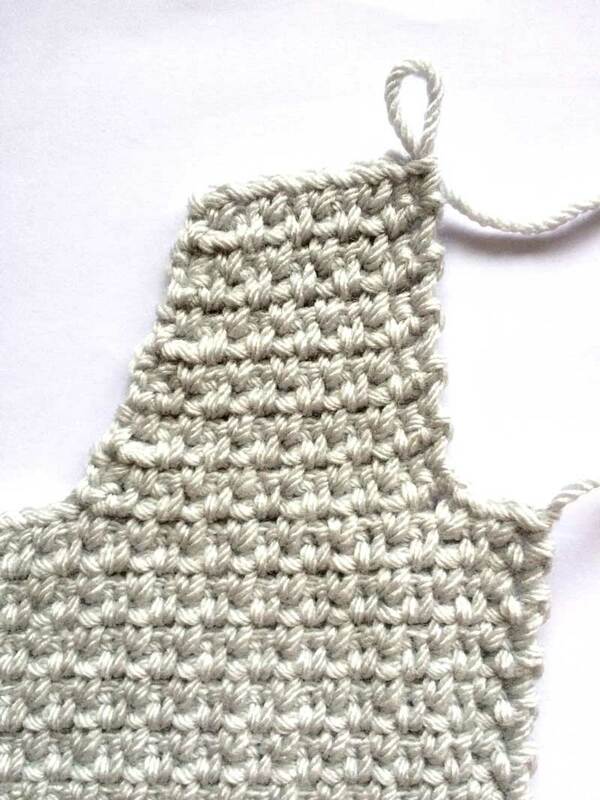 Repeat Row 2 & Row 3 for pattern until you have 28 (32, 36, 40) rows of the main body in total. Miss first 2 sc and next 1 ch-sp, re-join yarn in next sc. Repeat Row 2- Row 5 for pattern 2 (3, 4, 5) more times, working 13 (17, 21, 25) rows in total, ending with 9 (10, 11, 14) sts. Fasten off. 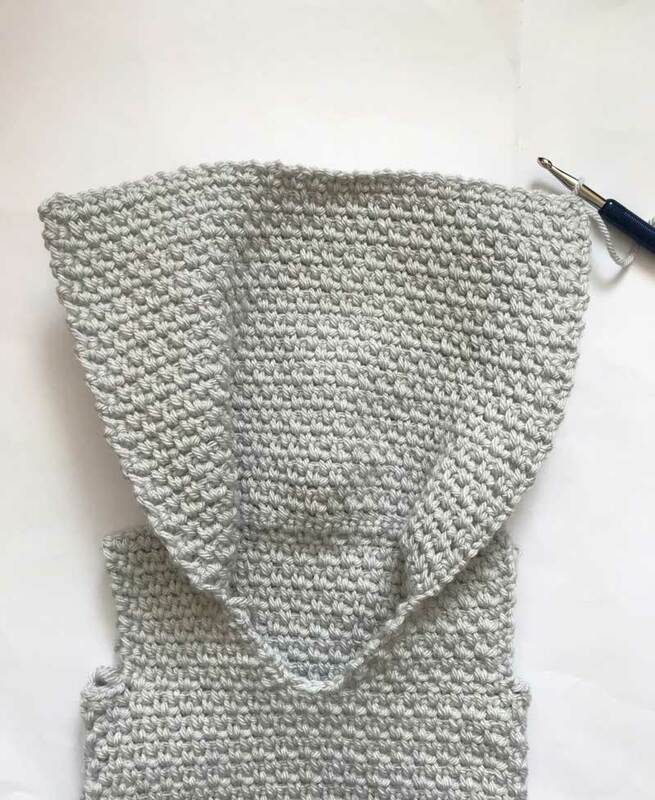 The linen stitch creates reversible fabric, so you can turn the front over, miss first 2 sc and next 1 ch-sp and join yarn the other end of the front part. Repeat the pattern as for V NECK FIRST HALF leaving 3 (5, 5, 3) sts in the middle unworked. Repeat pattern as for FRONT for 28 (32, 36, 40) rows. Fasten off. Repeat Row 2 & Row 3 for pattern 5 (7, 9, 11) more times. Fasten off. Line up the front and back and sew together at shoulders and sides. 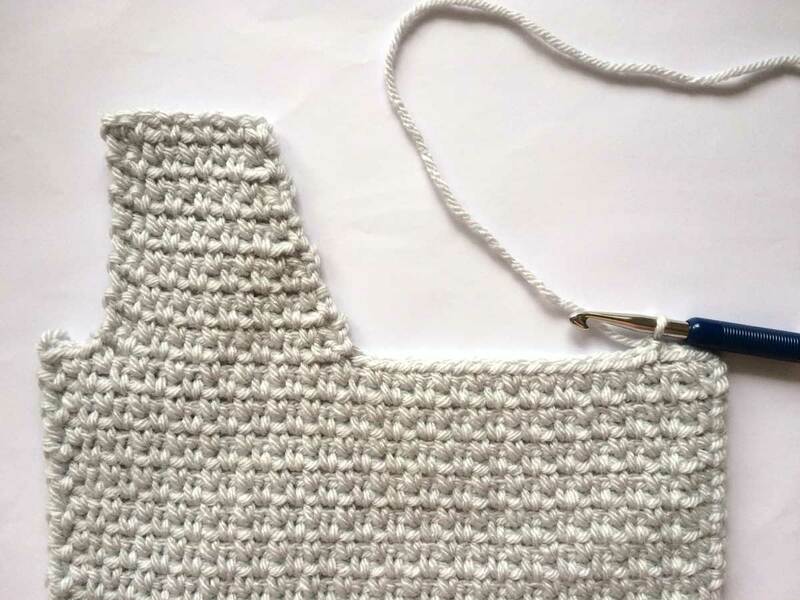 Counting from the bottom of V neck opening, join Misty Grey in the end st of 8th (10th, 12th, 14th) row. Repeat Row 2 & Row 3 for pattern for 28 (35, 42, 49) rows in total. 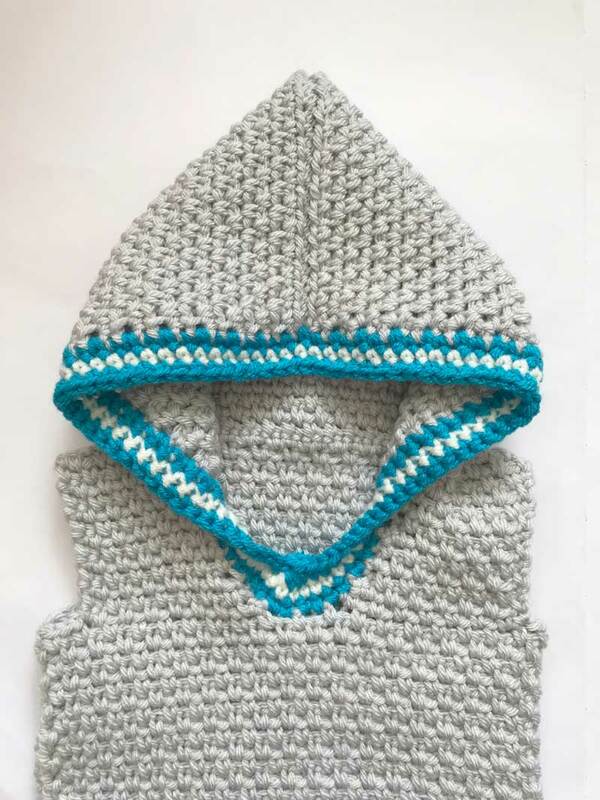 Fasten off, fold the hood in half and sew together on the wrong side. Join Marine Blue in the end st of first row at the bottom of V neck opening. Fasten off and join Pure White. Fasten off and join Marine Blue. Row 3: 1 sc in each st around until last 3 (4, 4, 3) sts, 1 sc3tog, 0 (1, 1, 0) sc in last, sl st to 1st st. 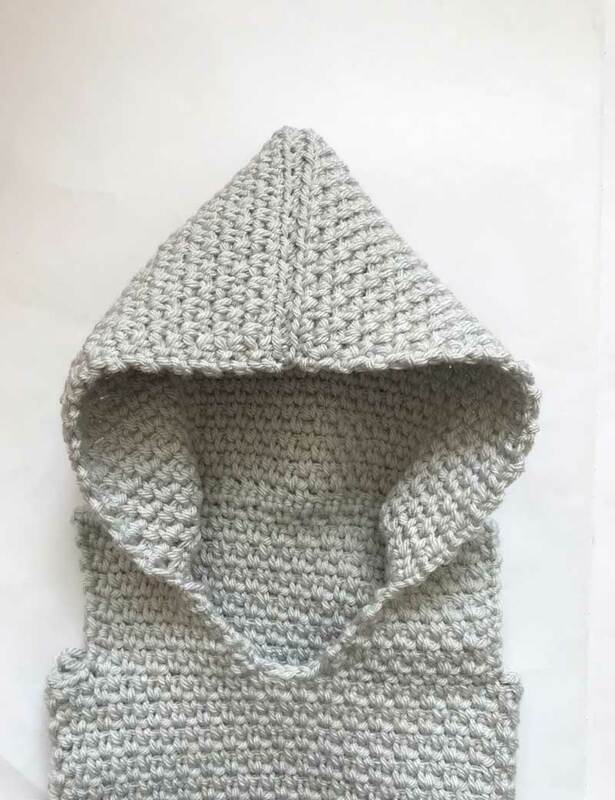 If you fancy saying hello or showing me your finished Hooded Vest, pop over to Instagram and tag me @bluestarcrochet or share your projects with #bluestarcrochetcompany!